My Silencer has FINALLY Arrived!... Was it Worth it? There are consequences to believing that the 2nd Amendment means something. If I believe there is a right to bear arms then I should CONSIDER doing so. When an application of the 2nd Amendment gets modified in some way I need to explore that option. Based on the above logic, and when the Minnesota legislature allowed MN residents to own and use silencers for firearms, I began the process of CONSIDERING owning a silencer. Ultimately, I purchased the silencer as a training tool for novice shooters. What really happened was that I got schooled! I will never tell you I know a lot about pistols, shotguns and rifles but I have a “sort of” understanding of what they are and what quality looks like because I’ve been using them on and off for 45 years. I have no idea what makes a good quality silencer. What does a quality silencer feel like? Look like? In fancy terms much of what we use from day to day is part of our collective memory. If you pick up a knife you “just know” if it feels right for you because you have a lifetime of experience to connect your present experience to your past experience. Not so with silencers. When it came to weighing my silencer options it all came down to going with a dealer I trust because of my lack of prior experience. I have no friends with a silencer so I was going to have to figure this out on my own. I decided to trust my silencer dealer, have them match a silencer to my needs and what I was likely to shoot in the future, and roll the dice. Sure, I could watch a silencer function on YouTube, but can YouTube help with selection or console you when you cross thread the gun barrel? I think not. There is another reason for Minnesotans to trust his/her dealer and that is the paperwork involved. Unlike the ubiquitous ATF Form 4473, getting ATF permission to take home a silencer is a long process. There are options, but they all boil down to one factor: you are about to make a life-time commitment to a piece of metal with a serial number on it. You can’t easily sell your silencer, get it repaired, transport it, or modified without lengthy paperwork. My silencer adapter for a .22 caliber pistol kept the slide out of battery, but I could not leave the silencer with the gunsmith to solve the problem. I am supposed to keep my silencer and tax stamp with me at all times to prove ownership. I do not have to carry passports or birth certificates with me to transport minor children, but I do for this four inch piece of metal. Like I said, a silencer is a lifetime commitment. A trusted dealer will only help with some issues. However, dealers cannot speed up the federal approval process. It appears the approval process is five to six month no matter what. Yes, I heard stories that started with “I knew a guy who got his silencer…” but I have never actually talked to someone who did not experience the five to six month wait. Because of my impatience I wrote to my congressional representatives. Several of my congressional delegates did not care that the regulatory wait seemed excessive. Representative Tom Emmer (R-MN 6th District) looked into it and found out that any formal inquiry on his part just would put my application back at the end of the backlogged line. Dealers can not do anything about the tax stamp or the regulatory wait. Early adopters of any new technology will likely just need to pay and wait and the same is true of now legal silencers. 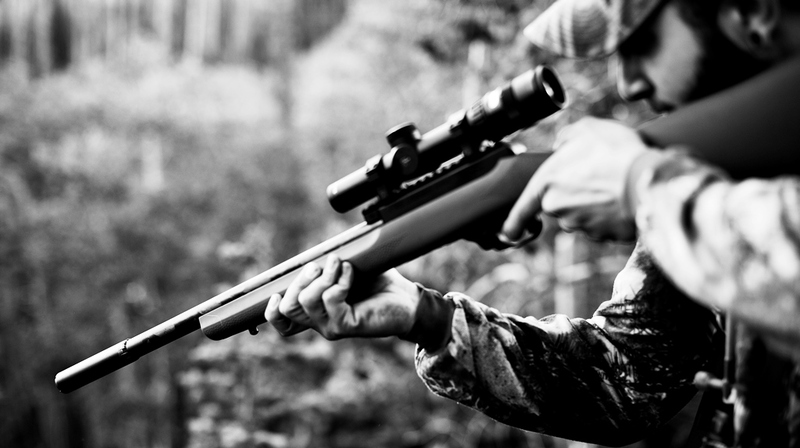 I predict in five years the competition will drive down some prices and you will know several sportsmen and sportswomen with personal experience with silencers and they can give you first-hand knowledge. In the meantime, my experience is that purchasing a silencer will help you develop the virtue of patience. The silencer approval finally arrived a few months ago. The paid for silencer had been in my dealer’s vault all this time, but I could only have visitation rights. It was a happy day when I could dash down to the store and actually take possession. Shooting a suppressed .22 caliber gun is just plain fun. I grin every time I shoot it. When everything works great the whispered sound of a finely balanced and correctly lubricated action is simply delightful. It is the same feeling I get when I split a log with one swing of the axe or drop a perfect cast in the right spot and a bass instantly hits the plug. Is that moment of delight worth many hundreds of dollars and many months of waiting – only you can decide? I purchased the silencer to help with my training of novice shooters and it is a great tool for training apprehensive students. It is instinctive to be wary of sharp sounds. Interestingly, students think the gun will sound like something from a Borne movie. Students are surprised to learn that movie sound effects and real life physics are sometimes very different! Once they realize there is no percussive sound to be afraid of (there isn’t) and the hearing protection could be removed (we don’t) instruction moves along quickly. I do have one gripe about being a silencer owner. My local indoor range has eight lanes. If seven of us are using silencers and subsonic ammo and one patron pulls out a .357 magnum we all are back to wearing hearing protection and feeling that percussive thump. The use of hearing protection could reasonably be decided by the loudest gun on the line, and if that gun isn’t you then your silencers is not really all that useful. I often find myself unscrewing the silencer because it gives me no real advantage and I will have to clean it anyway. I avoid peak times at my outdoor range so I find the silencer more useful there since I’m often alone. If I had acreage being around other noisy guns would not be an issue. Getting the details just right is well – detailed. Each gun responds differently to the silencer and those changes need to be addressed. For example, I tend to run my pistols a little dry, but the silencer/gun connection for my fixed barrel pistols seems to like more lubrication. Now my preparation includes a decision about how much to lubricate, but when I start fine tuning other guns recoil springs may need to be changed. When I move to my floating (or locked breach barrels) I can see where recoil spring adjustment might be necessary. Rimfire ammo, especially .22 caliber, is dirty. Usually some of that fouling gets blown out the end of the barrel, but not so with a silencer. The manual said clean every 800-1000 rounds. I followed the manual exactly and could hardly get the silencer apart because of all the carbon build up. I now clean the gun and silencer after every 200 rounds and the process goes a lot quicker. It also appears that I will be investing in a sonic cleaner in the near future as well. The silencer will also get hot within 40-50 shots so thoughtlessly touching the silencer could give you a surprise. Again, this is physics – the sound energy gets transformed to heat. Metal expands and contracts with temperature changes so you will want the proper wrench with you at the range in case you can’t turn the silencer off with your hands. Mastering the silencer means you also need to master ammunition choices. You may well have to balance cycling of the action with getting close to the sound barrier (anything above 1080 fps – depending on humidity and temperature – will produce a “crack” down range no matter how good your suppressor). A round that will whisper in a silencer/pistol combination may not cycle at all. Any ammo that cycles your semi-auto loader will be noisier. I have found myself being on the prowl for subsonic ammo of all types. If you hoarded ammo before you will now have even more chances to hoard. Some reviews note accuracy changes. With some pistols accuracy does not seem to be a factor, but with others there is a noticeable shift in point of aim. Velocity of the bullet seems to have a greater impact on accuracy, hence my comment on mastering your ammo. Pros: great teaching tool; I got to know the mechanics of my small caliber pistols a lot better; I now have an extra bin of subsonic ammo. Cons: not really an advantage at a range unless everyone is suppressed; holsters are generally not usable; carrying ownership documents is a pain. So, was it worth it? Being an early adopter of this 2nd Amendment application for Minnesotans is really about the experience and learning new things. If I wasn’t teaching with this device I’d probably sell it – wait, I can’t readily do that.